Indonesian President Joko Widodo's visit to the United States next week offers the two countries an excellent opportunity to upgrade their relationship. Good ties between them are indispensable to the new Asian order. This order has several key elements. One element is the place of religion in the structuring of national and international life. The US embodies many of the values by which Indonesia judges itself. Both are secular democracies. They have to ensure that the role of religion, in politics and other areas of public life, does not overwhelm the state's ability to act impartially. They must protect the rights of religious minorities within their borders. Outside their borders, the secular credentials of democratic states are fundamentally important at this time. The Islamic State in Iraq and Syria (ISIS) has emerged as a visceral threat to countries in the Middle East and beyond. Indonesia's ability to hold ISIS at bay would influence directly the success with which neighbouring countries such as Malaysia and Singapore deal with the scourge. Indonesia is South-east Asia's largest country by area, population and economy. ISIS cannot be allowed to establish an ambitious foothold in Indonesia and use it as a base from which to threaten surrounding countries. Indonesia acts as a good Asian member by signalling its determination to stop ISIS in its wayward global tracks. At the global level, Indonesia is home to the largest number of Muslims in the world. The war against the religious claims of ISIS cannot be waged if Indonesia is sidelined. Simultaneously, thoughtful Indonesians know that the countervailing power of the US and other global players is necessary to push ISIS back into the wild margins of history whence it emerged. Thus, Washington and Jakarta need each other in the new war on terror. What makes their relationship special is that they are obliged to act democratically. Unlike autocracies, they cannot abridge the political rights of their citizens to freedom of religion, speech, expression and association in order to fight the war. Democratic Indonesia's success in reversing the infiltration of ISIS and similar groups into its population would be important to the US. America is a part of the West into which ISIS has made dangerous inroads, picking up impressionable recruits to mount an unsuspected religious siege within secular societies. Here, the personal popularity of President Joko Widodo with the masses is a political asset. His humility and approachability have endeared him to Indonesians. He embodies the way in which a people's democracy can unite to fight terror. President Barack Obama's personal interest in Indonesia, stemming from his childhood stay there, is another asset. The two leaders personify a bilateral relationship on which the US President would no doubt wish to leave his mark as he approaches the end of his second term. Another component of the new Asian order is China. The question is not whether a rising China is a good idea. Of course it is. The question is whether an ascendant China wants to be good for Asia. Smaller Asian nations would be perturbed if the answer were that China wants to recover territory associated with its glorious past, before the advent of European colonialism. Like China, Indonesia suffered the depredations of colonialism. Like independent China, independent Indonesia wanted to find its place in the global scheme anew. But Indonesia did so largely by establishing new relationships, not excavating past territorial memories, whether on land or at sea. Jakarta came to be a valued member of Asean. It was seen as a natural leader in preserving the regional status quo. Today, China's maritime assertiveness in the East and South China seas is unnerving its Asian partners. Japan has responded by updating its security laws to allow its military to operate outside its national boundaries. This move has infuriated China. Caught between Beijing and Tokyo, other capitals are wondering whether Asia's future will be Europe's past. Will the balance-of-power politics of 19th-century Europe, which led to two world wars in the 20th century, be replayed in 21st-century Asia? Could the next world war begin in Asia? 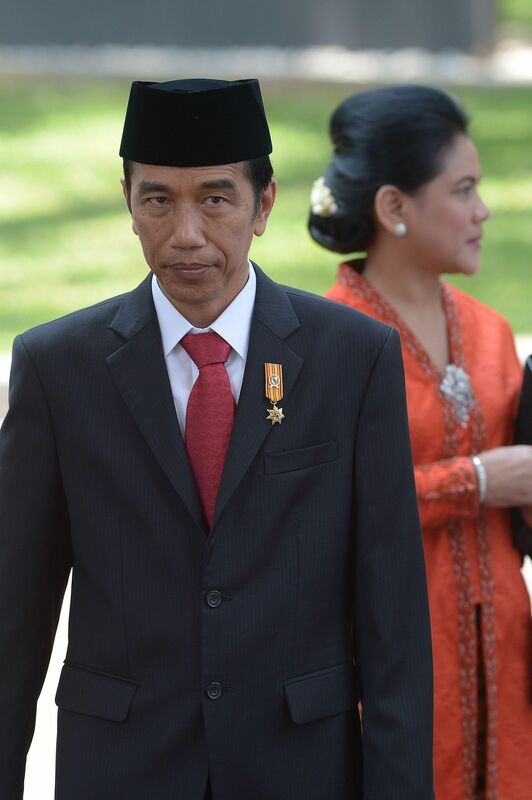 As an Asian middle power, Indonesia is deeply concerned about the possible drift of events. The US could and should continue to make a crucial difference to Asian strategic outcomes. Neither China nor Japan can afford to ignore the balancing role that it plays in their relations. Smaller Asian countries welcome that sobering role in spite of their reservations about the way in which American power has been used sometimes, in the Middle East, for example. Once, American strategic ambiguity in its dealings with China and Taiwan helped to keep the two sides of the strait from destroying a peaceful status quo because of domestic political compulsions or strategic overreach. Beijing and Tokyo belong in a different league of powers. However, Washington occupies a special place in their relationship because it possesses the strategic autonomy to act as a friend to both and therefore as not an enemy to either. America can help to keep the two Asian powers together. This hope also underlines Indonesia's position. It sees no reason why it should have to choose between China and Japan as Asian powers. Both are legitimate powers. Indeed, Indonesia's foreign policy is predicated scrupulously on treating China and Japan as Asian equals. However, Indonesia simultaneously sees the divergence between the two powers growing. The effects of power rivalry in North-east Asia will be felt in South-east Asia. It could tear the region apart. America's refusal to take sides would help to preclude that eventuality. As a middle Asian power, Indonesia would benefit from the continent's continued strategic coherence and continuity. It is to that end that the US and Indonesia should continue their conversation. A strategic dialogue would provide a useful platform for a meeting of minds to deal with common challenges and explore opportunities. The writer is Coordinating Minister for Politics, Legal and Security Affairs of the Republic of Indonesia.